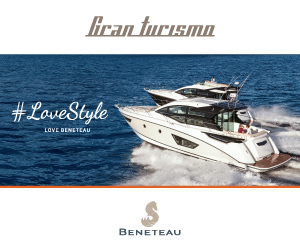 Beneteau Gran Turismo 50 Fly: three decks are better than two? 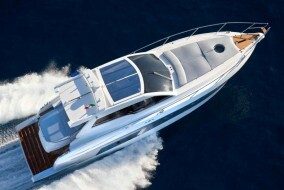 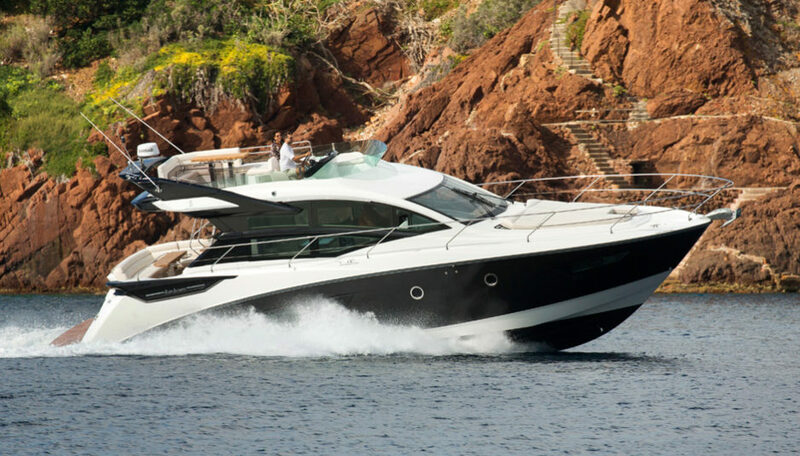 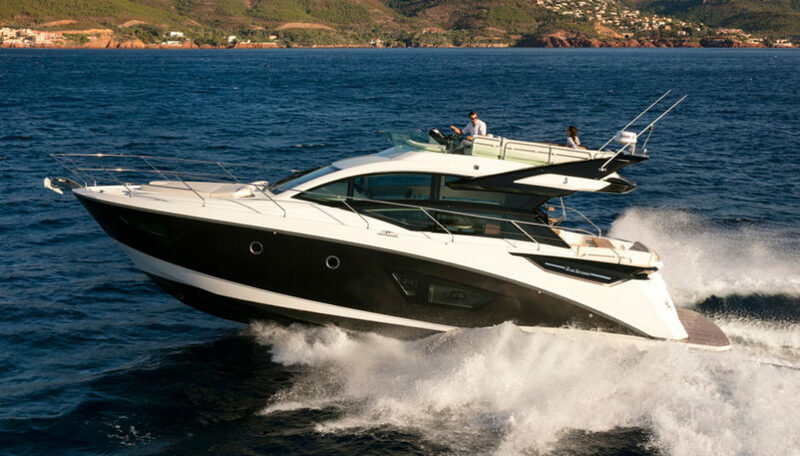 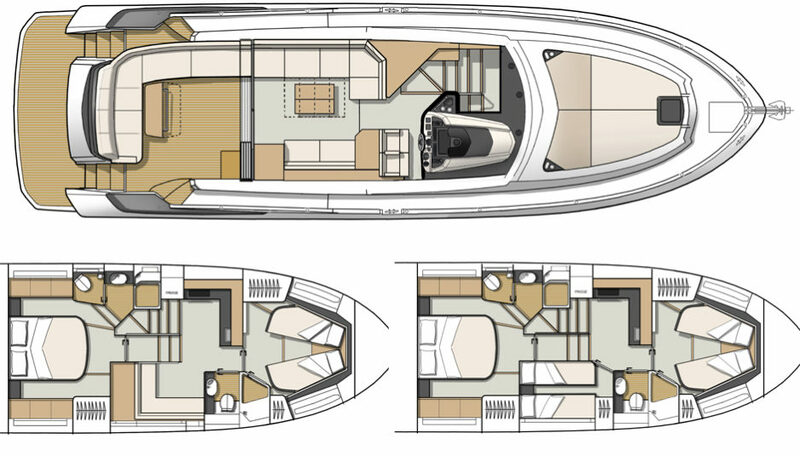 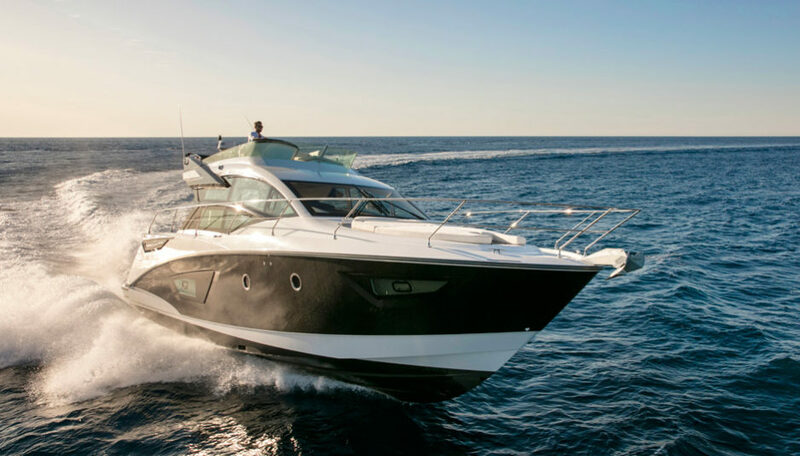 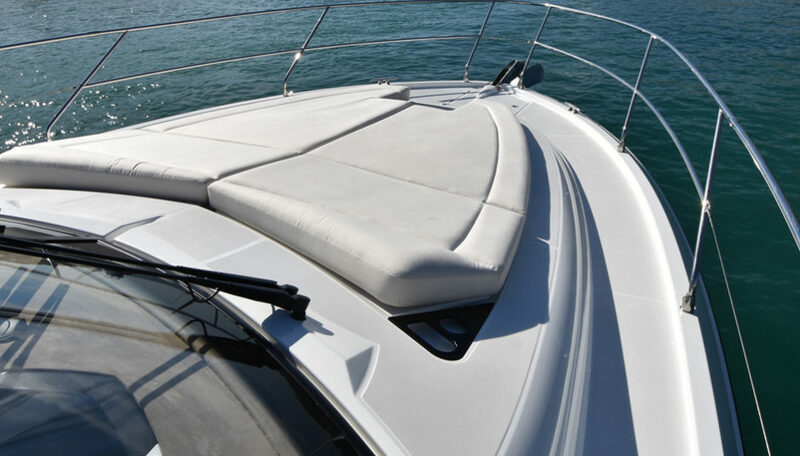 After our test of the Hard Top version, here’s the Beneteau Gran Turismo 50 Fly. 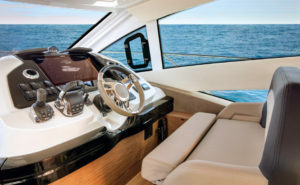 Is the flybridge necessary? 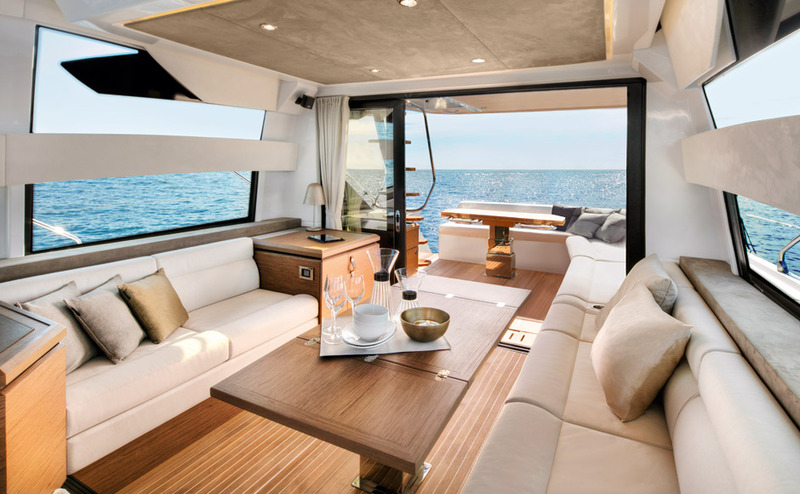 It depends on your taste. 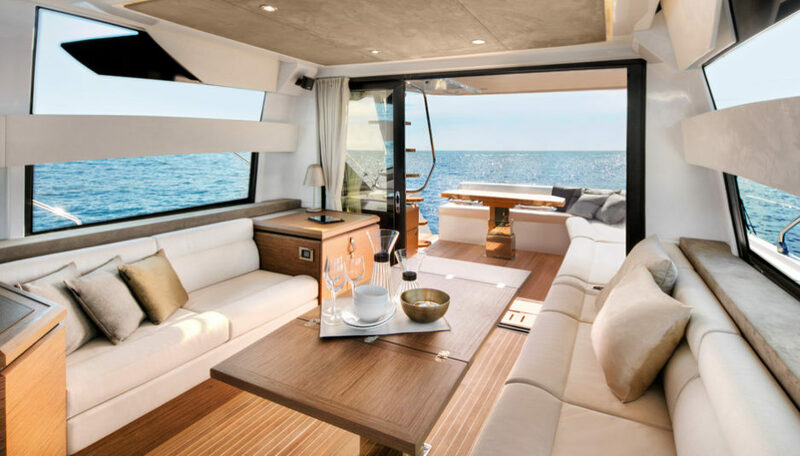 And for somebody it can’t be replaced. 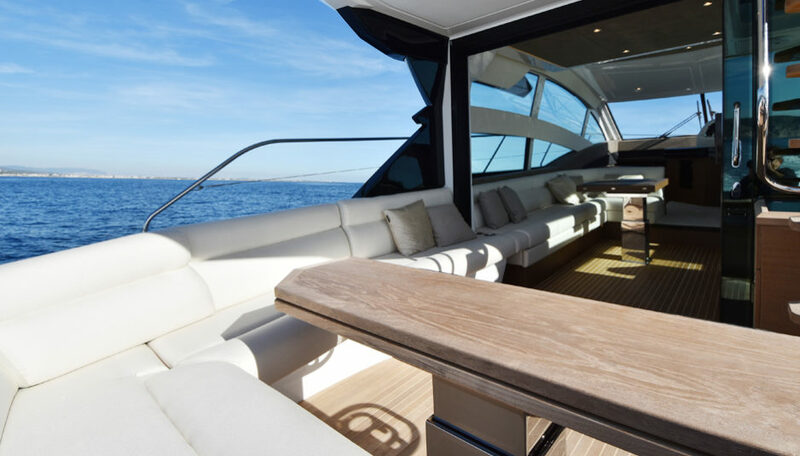 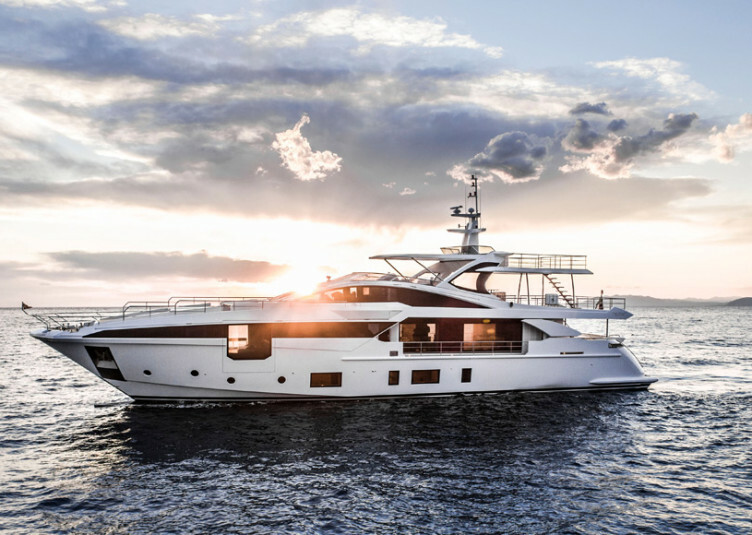 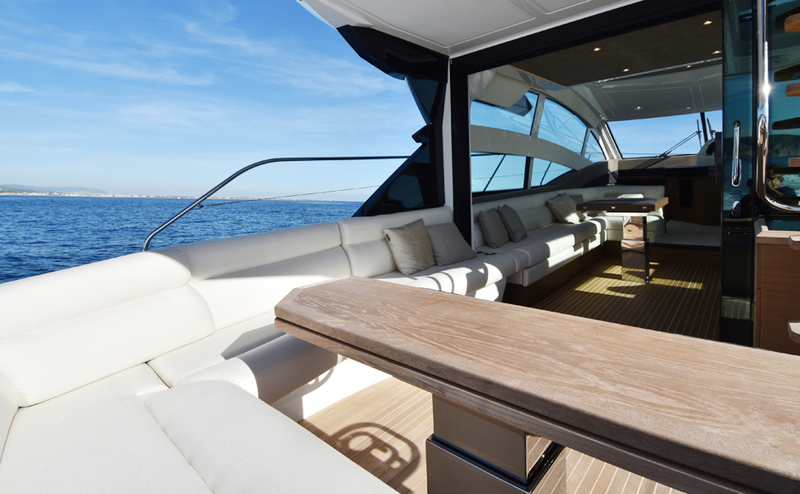 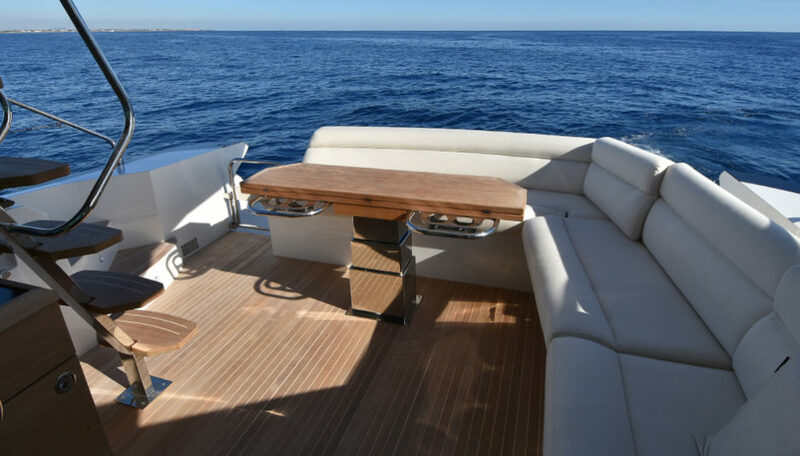 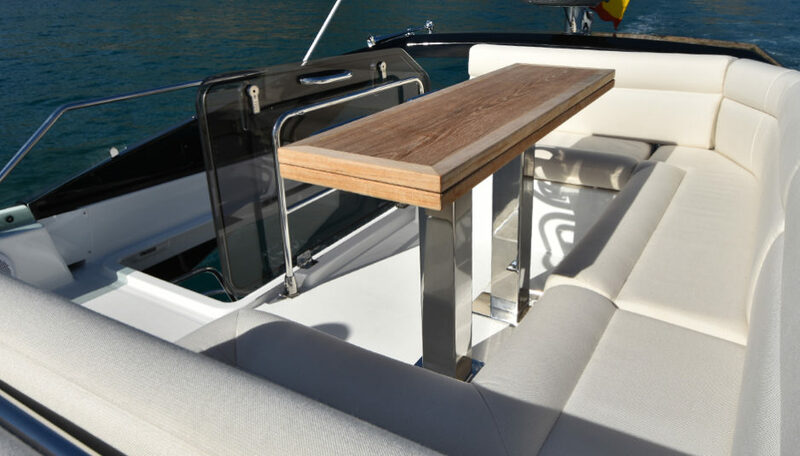 It is perhaps the climate of the Barcelona coast, the last autumn sun, but staying on the flybridge while I test the new Beneteau Gran Turismo 50 Fly is really nice. 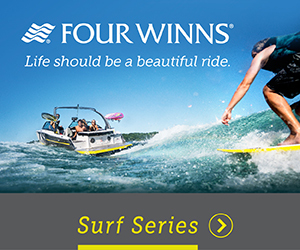 So you want us to answer the question in the title? 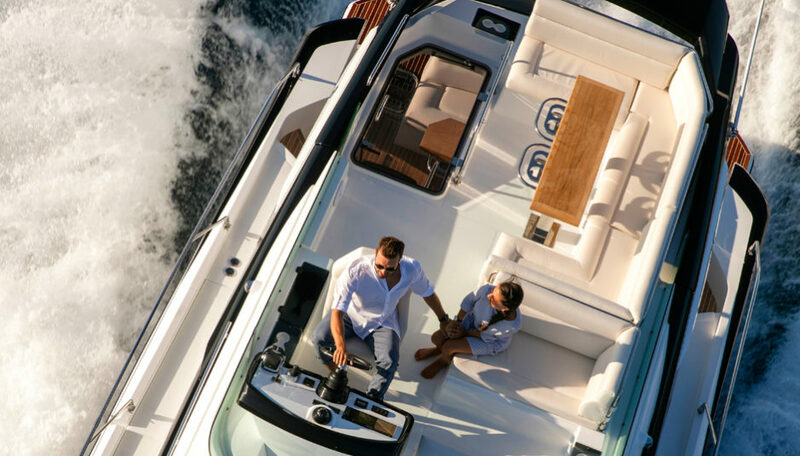 In a way yes, even if we must admit that the final choice depends on the tastes of the owner (and of the partner…). 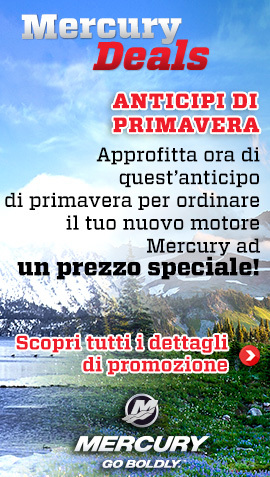 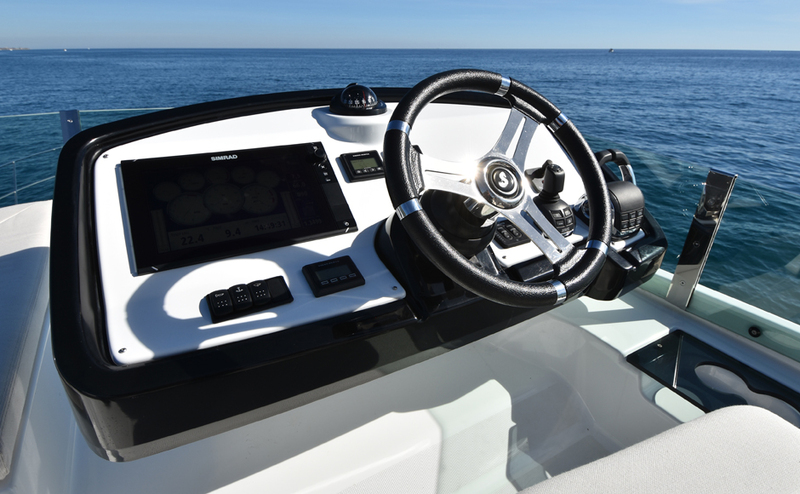 During the sea trial of Gran Turismo 50 HT I declared my preference for the sportier model, but I this it’s better to complete the analysis and give you all the elements to decide. 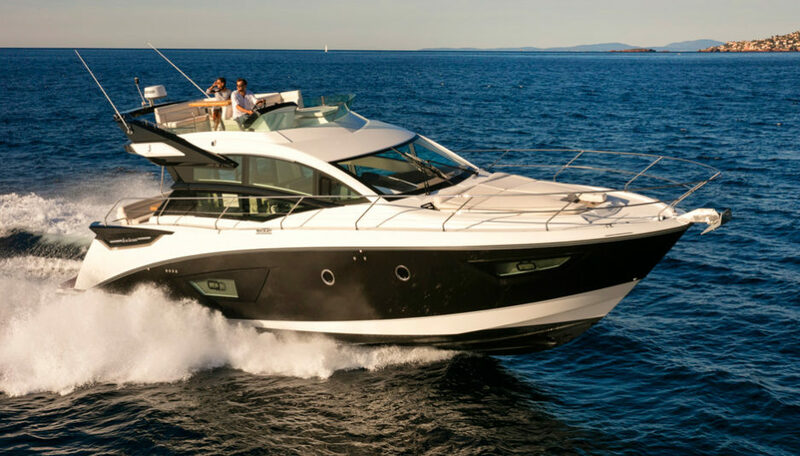 The price difference between the two models (in the basic version) is only 20 thousand euros (VAT excluded), obviously in favor of the HT, even if going for the second helmstation and some options will raise this figure. 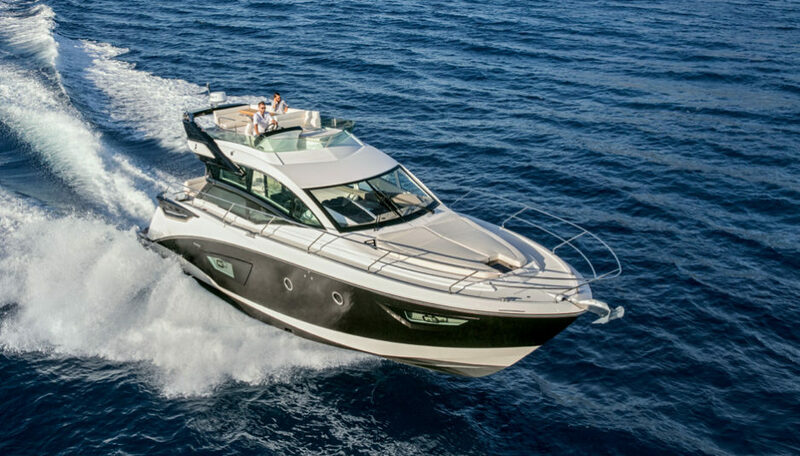 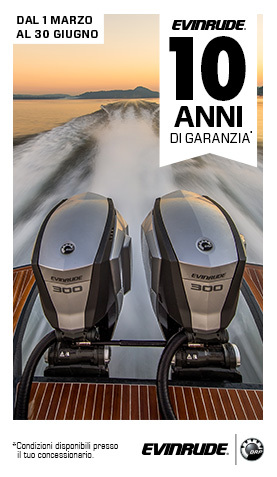 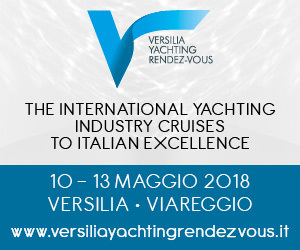 The displacement is only 300 kg higher, an important figure because, as on the HT, even on the Beneteau Gran Turismo 50 Fly the powertrain is just the twin Volvo Penta IPS 600 2×435 HP: despite the notorious efficiency of these transmissions, there’s some lack of power. 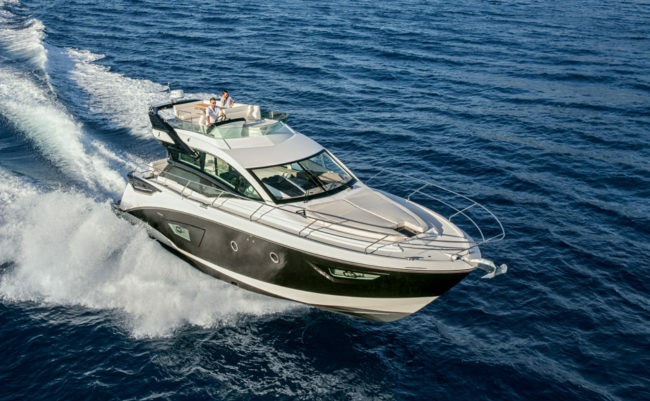 The test of Beneteau Gran Turismo 50 Fly is on moderate to rough sea: so, unlike the HT sea trial, I have the chance to test the new AirStep hull. The feeling is good, the sharp thuds are just a little part, despite waves crossing in every direction. 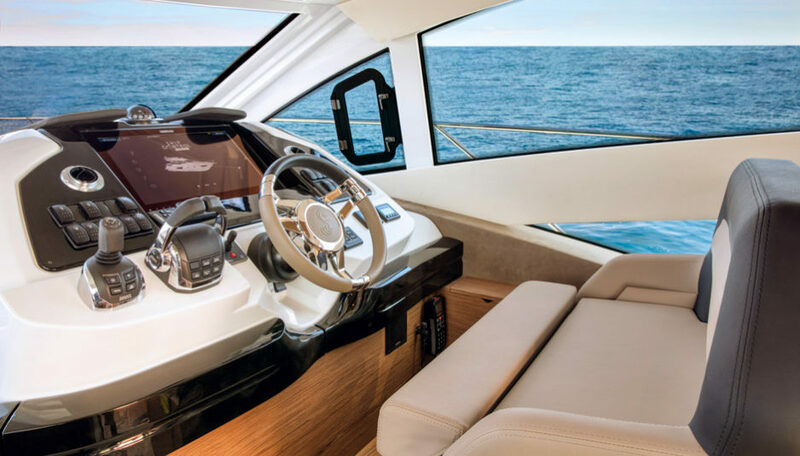 Beside the lack of power, I must say that when cruising at 20 knots and 3000 rpm the fuel consumption readings are interesting and the interior comfort is excellent, thanks to the low level of noise. 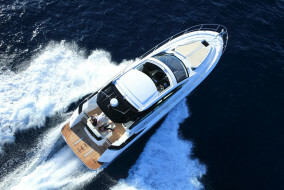 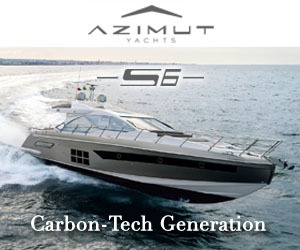 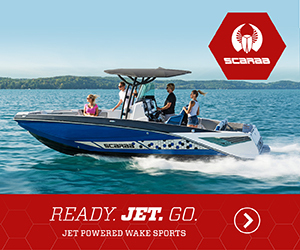 The slowest planing pace is at 2300 revs and 12.5 knots, with a fuel need of 76 liters per hour. 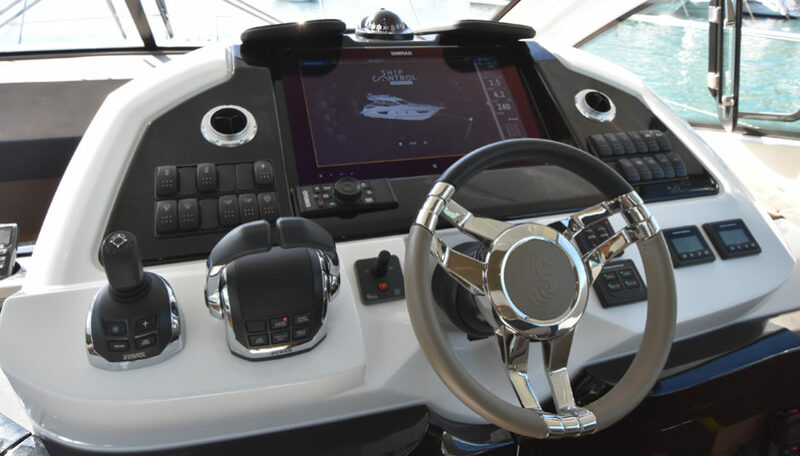 I move onto the flybridge to check the driving conditions also from the second station: the instrument panel is complete so it is mainly like piloting from the main wheelhouse on the main deck. 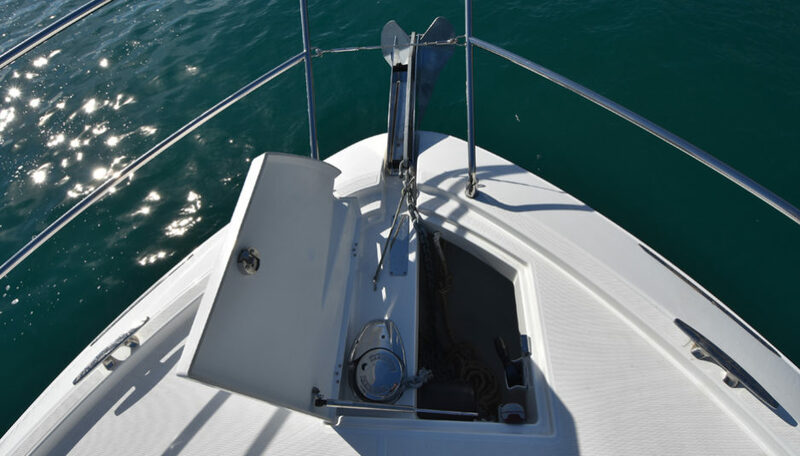 With the obvious advantage of enjoying a great visibility. 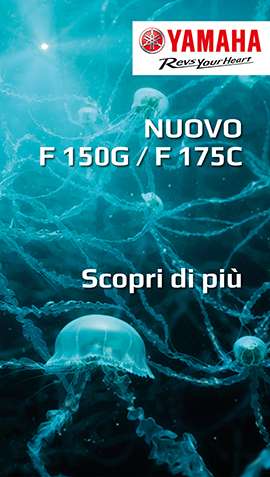 Even when taking sharp maneuvers, the reaction of Gran Turismo 50 Fly is always safe, without particular roll. 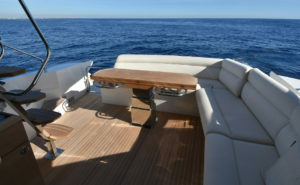 The latter sentence means good news for the guests, who will enjoy the cosy sun deck. 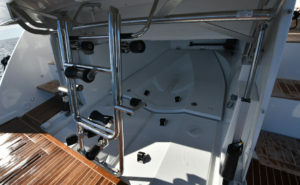 Whose layout, I must say, has nothing new, so let’s remark that it is rational and easy to enjoy. 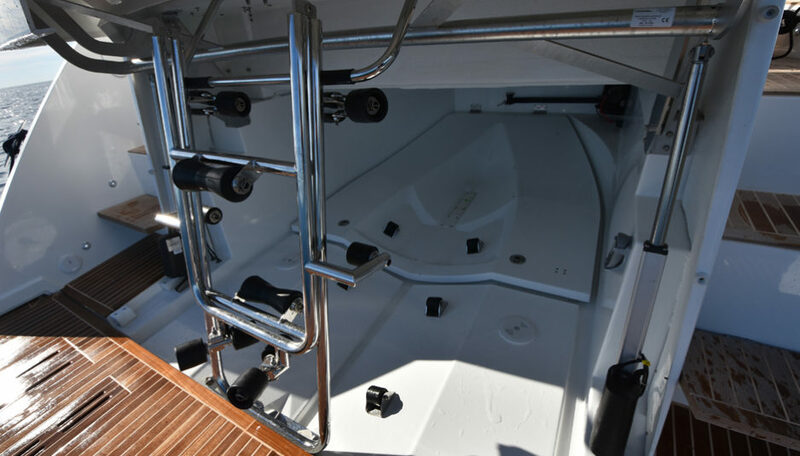 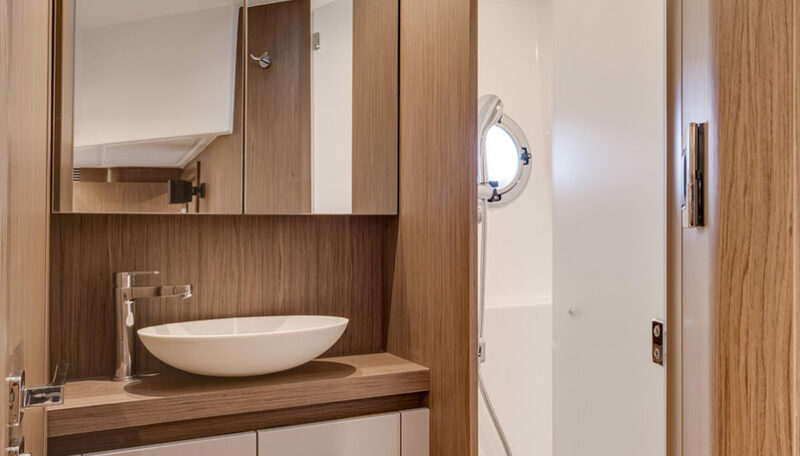 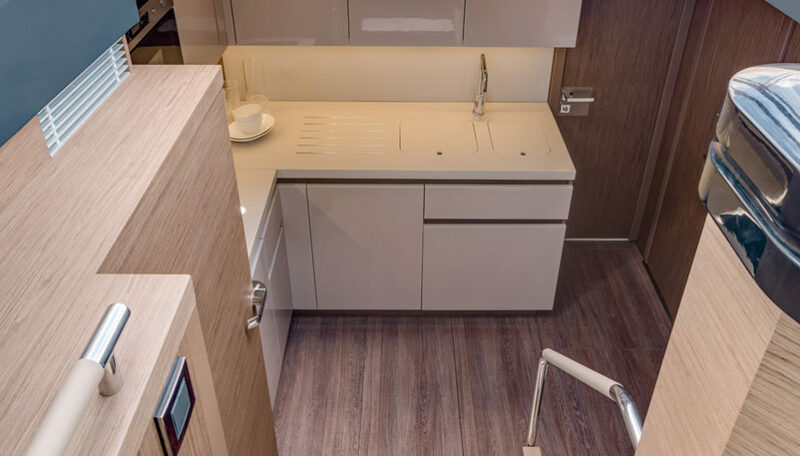 Something that shouldn’t be missing is the grill: considering that the galley is on the main deck, inside, and the small cabinet in the cockpit under the ladder is everything but practical. 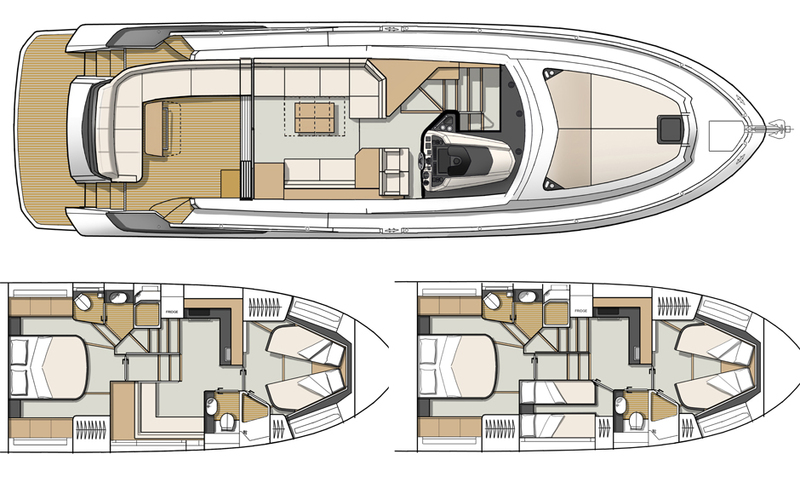 As for the full description of the interiors, once again I would redirect to our previous test as they are mainly the same boats. 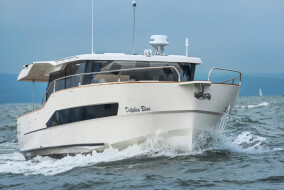 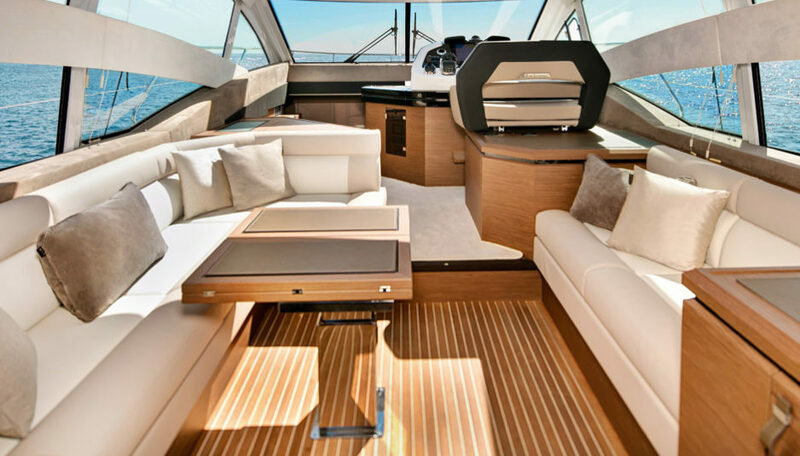 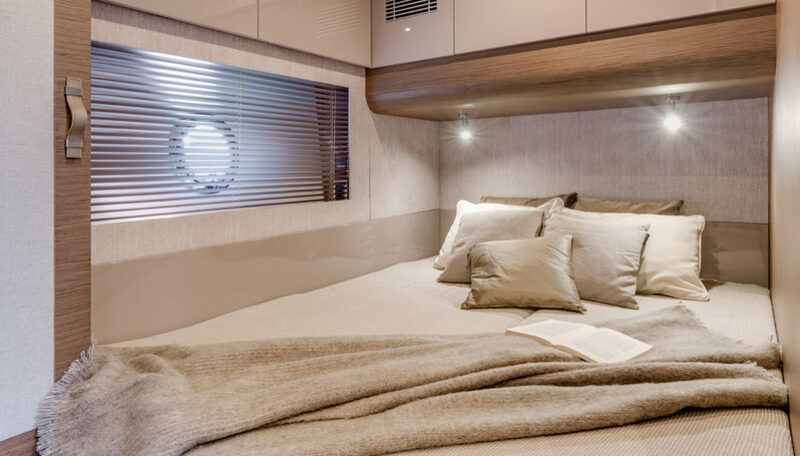 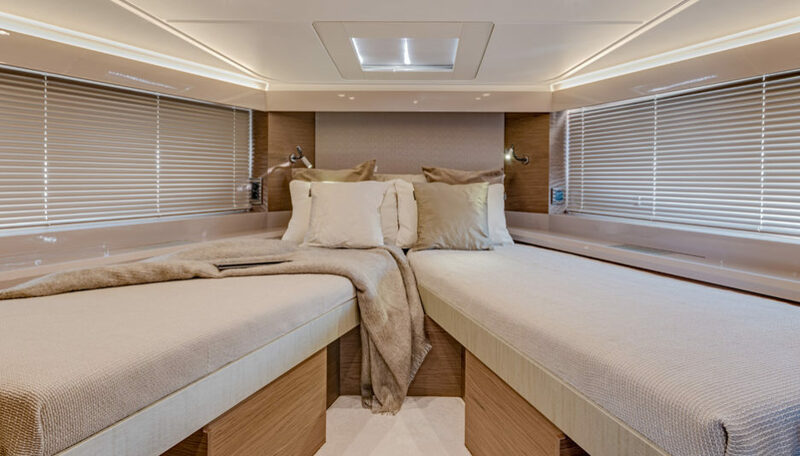 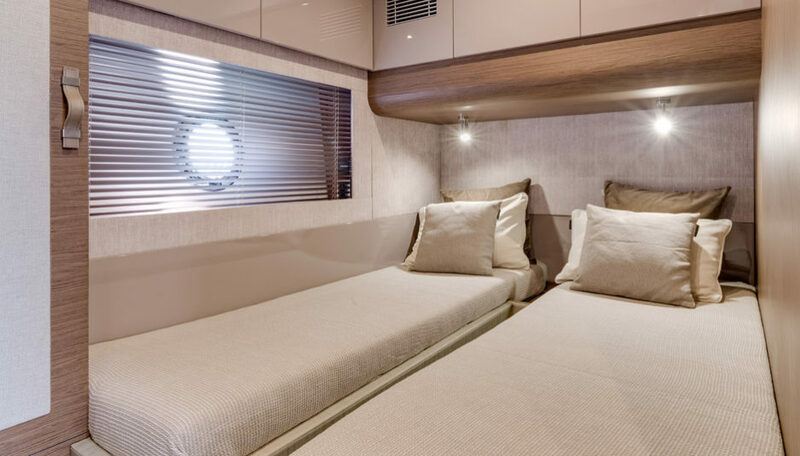 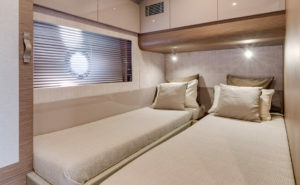 The only difference being that on this flybridge version there’s a third cabin with twin bed instead of a lower dinette. 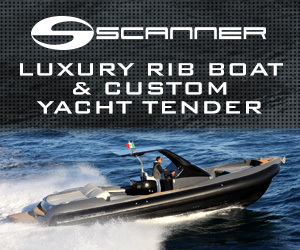 Once again, the decision is on the owner. 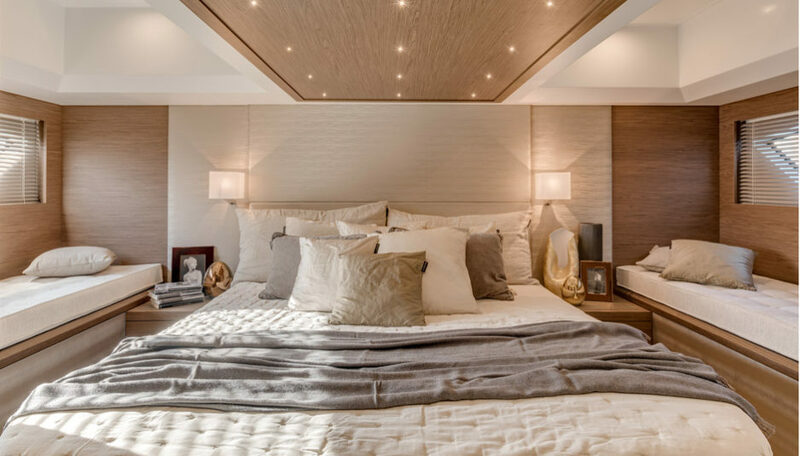 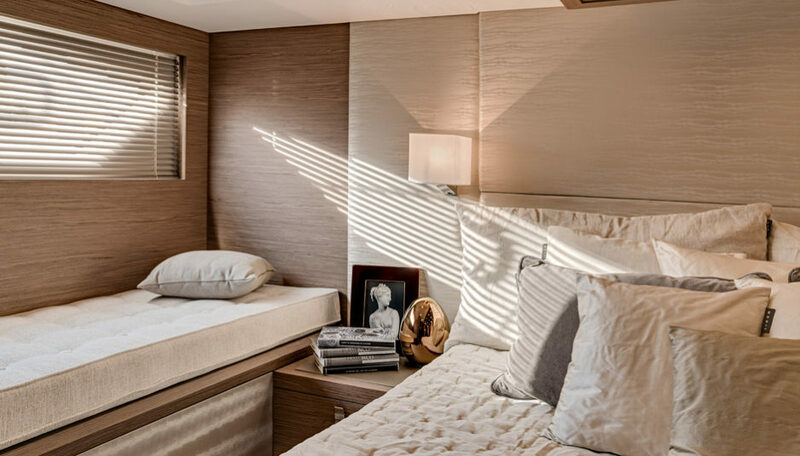 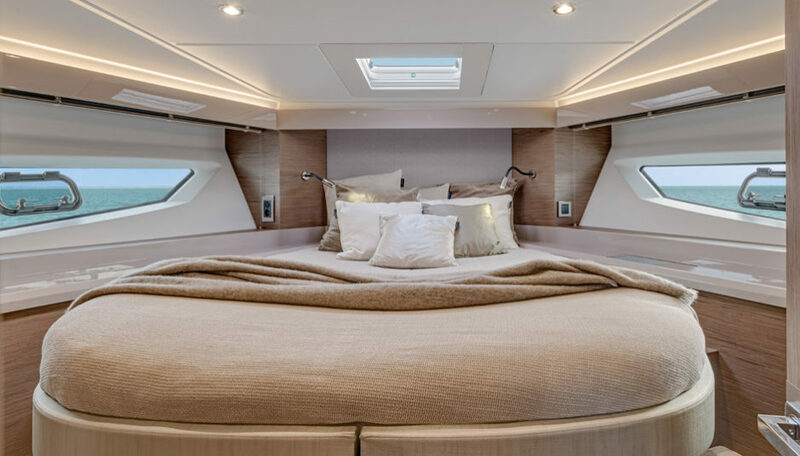 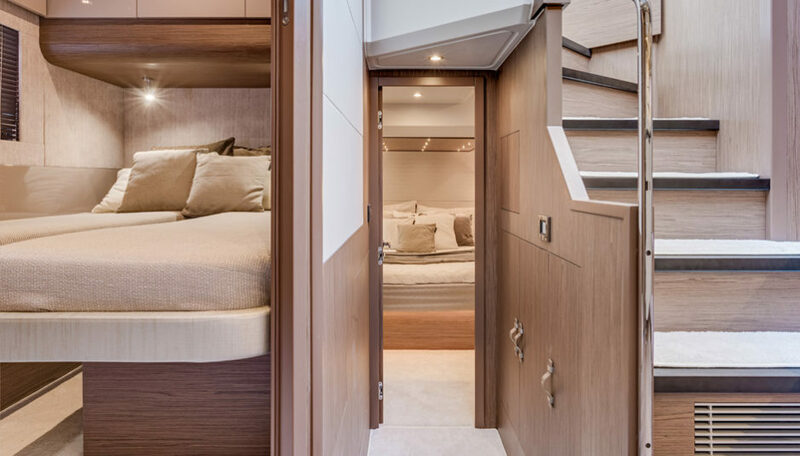 Who, by the way, will enjoy his master suite amidships so will have plenty of comfort either ways.